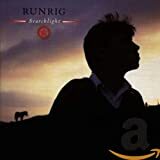 Runrig are a Scottish Celtic rock group formed in Skye, in 1973 under the name 'The Run Rig Dance Band'. Since its inception, the band's line-up has included songwriters Rory Macdonald and Calum Macdonald. The current line-up also includes longtime members Malcolm Jones, Iain Bayne, and more recently, Bruce Guthro, and Brian Hurren. To date, the band has released fourteen studio albums, with a number of their songs sung in Scottish Gaelic. Initially formed as a three-piece dance band they played wedding receptions. 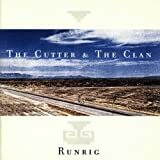 Runrig's music is often described as a blend of folk and rock music, with the band's lyrics often focusing upon locations, history, politics and people that are unique to Scotland. Songs also make references to agriculture, land conservation and religion. Since 1999, the band has gained attention in Canada, following Nova Scotian singer Bruce Guthro's entry to the band. In 2016, the band announced that it would retire from studio recording after the release of its 14th studio album, The Story.